On friday I bought a new nail polish AGAIN. I was kind of looking for a light and soft grey. 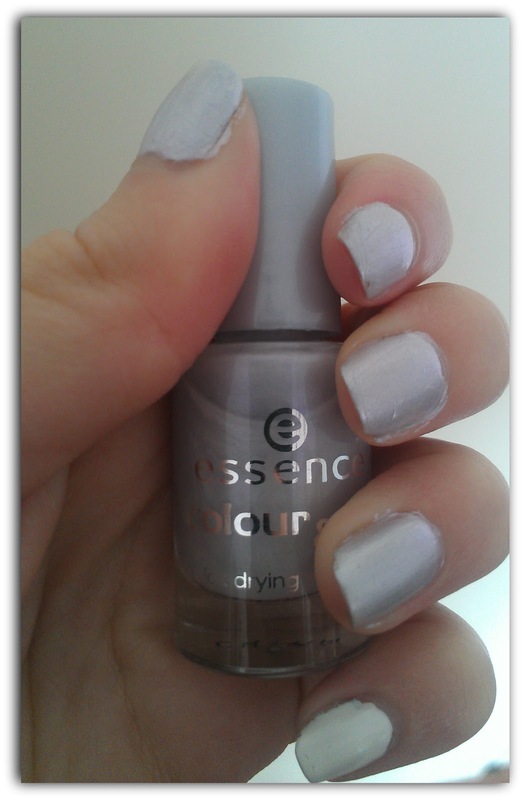 And when I saw this nail polish, and bought it, I actually though this nail polish was a soft and light grey. But when I applied it to my nails I discovered it wasn't. It depends on how the light hits it. With less sun, like the picture above, it looks like a light silver. But with a lot of sun, like the picture beneath, it looks like a metallic white. I applied some white nail polish on my pinkie to compare. I love how unique this color is. On the pictures I'm wearing over 4 coats of nail polish, because it's a really sheer and streaky nail polish. That's why the nail of my index finger is quite messed up, a nail can only handle so much nail polish at a the time! I recommend that if you apply this nail polish you first take a lot of time. Then start of with applying one thin coat of this nail polish [after you applied your base coat, or not] wait till it's semi dry and layer over it with a thicker coat. Also wait till that one is semi dry and follow up with the next two coats. And than wait till it's complitely dry because otherwise your nails are going to be messed up to, and enjoy the gorgeous look of this nail polish! 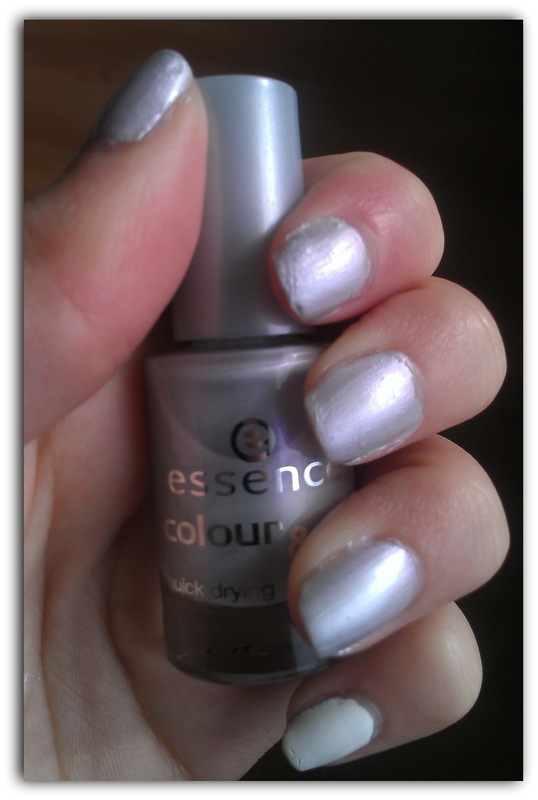 I scored this nail polish for €1.29 and it was deff worth my money, haha. 'What's your favourite Essence nail polish?